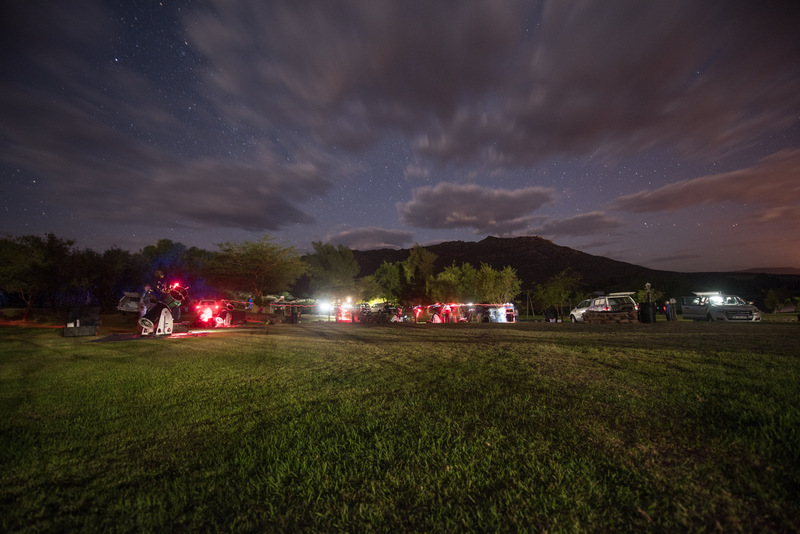 New Horizons team members and collaborators rehearse to observe the occultation of Kuiper Belt object 2014 MU69 outside of Clanwilliam, South Africa. The clouds seen here caused the team to choose to split up: half stayed at this site for the event the following night, while half traveled 300 miles (500 kilometers) to the northeast in a bid to avoid the clouds. As it turned out, both teams saw mostly clear skies during the critical moments of the occultation. NASA’s New Horizons spacecraft will fly past MU69 on Jan. 1, 2019.